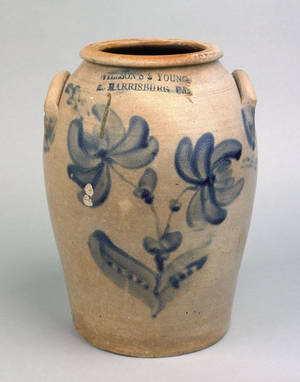 Rare Harrisburg, Pennsylvania stoneware crock, ca. 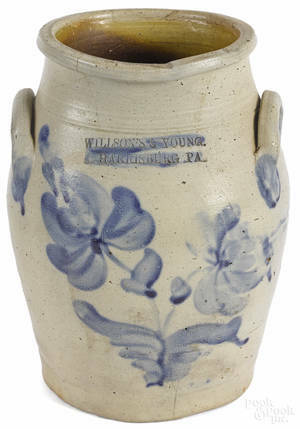 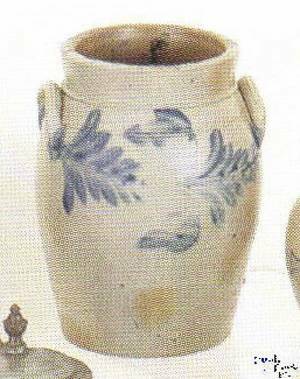 1855 , stamped "Wilson's & Young", with cobalt floral decoration, 11" h.
Four gallon Cowden & Wilcox, Harrisburg, Pennsylvania stoneware crock, 19th c.
Harrisburg, Pennsylvania stoneware crock, 19th c.
Pennsylvania stoneware crock, ca. 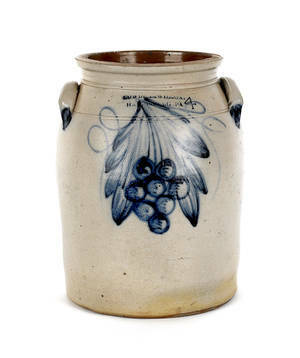 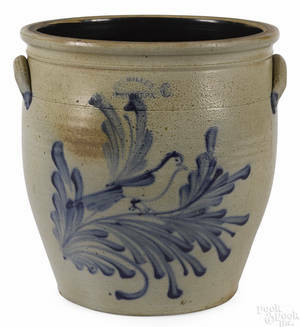 mid 19th c.
Sixteen gallon Pennsylvania stoneware crock, ca. 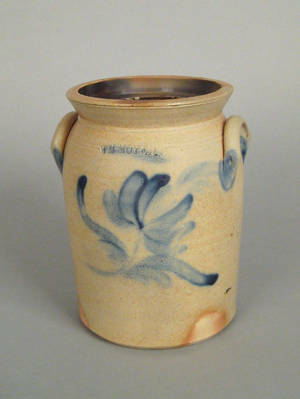 1870, impressed "C.C. 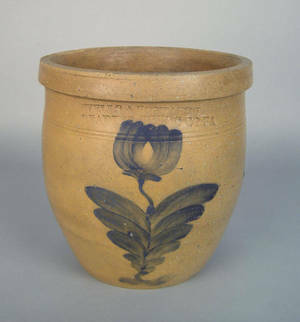 Williams & Company, New Galena, Pa." with stencil and freehand decoration (top trimmed).